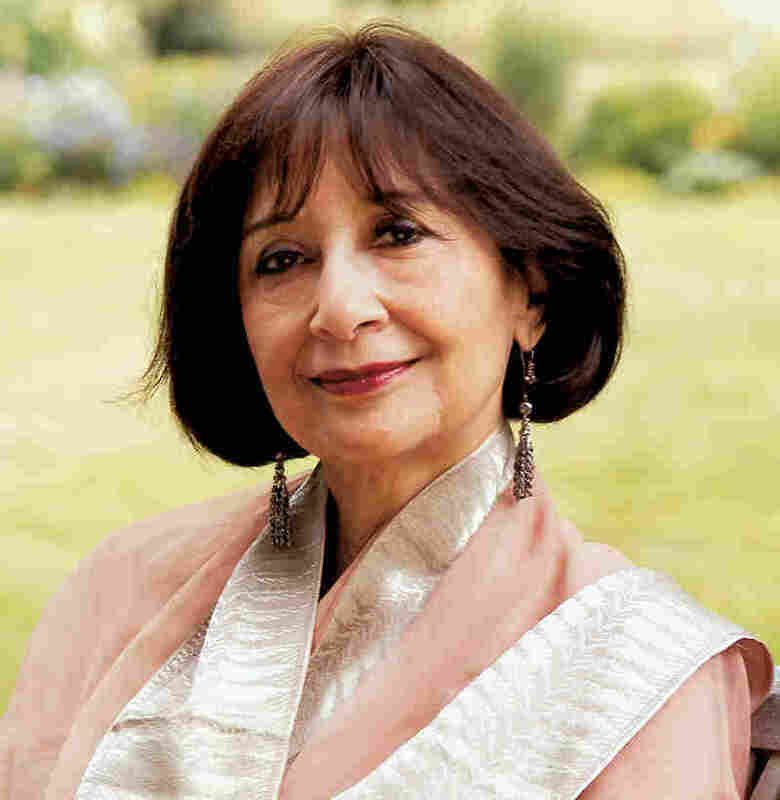 The Long View: Madhur Jaffrey's Indian Kitchen Beloved chef Madhur Jaffrey prepared for a life on stage and screen as an actress — but her longing for the food of her childhood led her to her other career. She looks back on her days in film and in the kitchen with NPR's Renee Montagne. 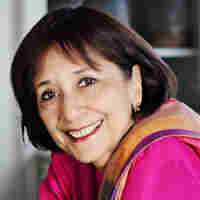 Madhur Jaffrey is a noted chef and expert in Indian cuisine. 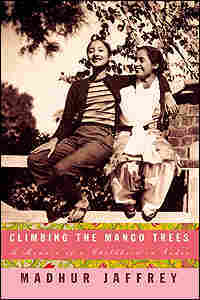 She is the author of several cookbooks and one memoir, Climbing the Mango Trees. 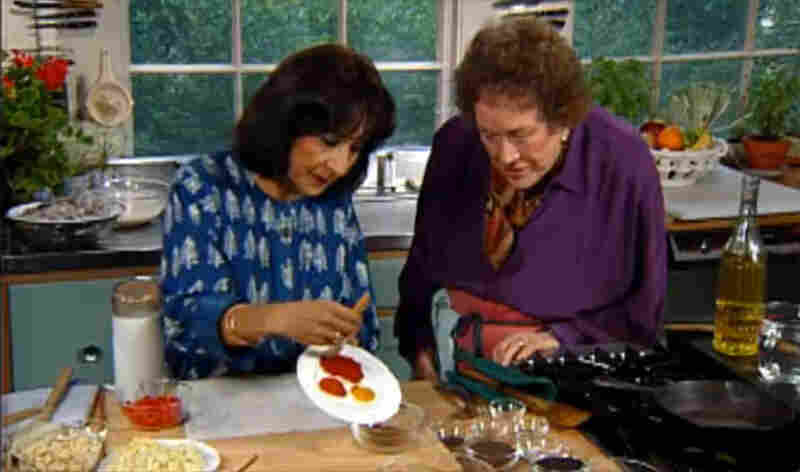 With dozens of cookbooks published and her own cooking shows in the U.S. and Britain, you'd think Madhur Jaffrey had planned all along for a life in the kitchen. But the Indian chef began her career as a classically trained actress. 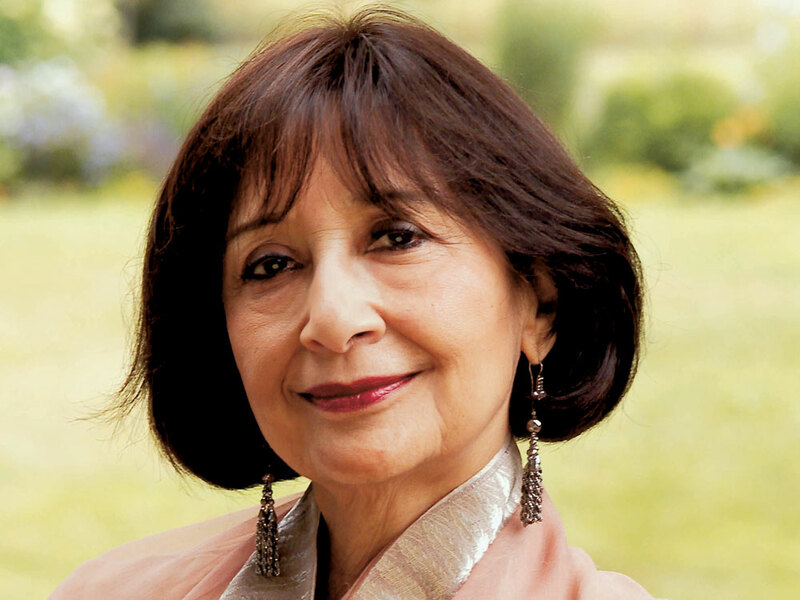 Madhur Jaffrey first won acclaim playing a diva-esque Bollywood star in the 1965 Merchant Ivory movie Shakespeare Wallah. Jaffrey's cooking career, however, began well before her film days when, at 19, she left her family's comfortable home in Delhi to study at England's Royal Academy of Dramatic Art. Jaffrey, a scholarship student with little money, was expected to eat at the local canteen. But when it came to British college grub, the chef tells NPR's Renee Montagne that she didn't like what she found. "The canteen was on the fifth floor," she says. "We would have to climb up these flights of stairs, go to the top of the building, and what would we get at the end of all this climbing? We'd get a sort of slice of roast beef, which was gray; cabbage and potatoes that had been cooked for hours. I would look at it and say, 'How can I eat this?!' "
Jaffrey's surroundings didn't offer much familiarity in terms of cuisine, she says. London only had about two or three Indian restaurants, and even those were subpar. "They were so standardized, homogenized, mollified Indian food," she says. "I don't even know how to describe it." So, to alleviate her culinary discontent, Jaffrey began what she calls "the other dream. Not the dream of coming to the West, but the dream of somehow re-creating that Indian food that I wanted so badly." At the time, though, she didn't even know how to make the basics. "I had not gone into the kitchen to do anything because food miraculously always appeared at the table," she says. Without any knowledge of how to go about making Indian cuisine, Jaffrey began a sort of culinary correspondence -- writing letters to her mother in Delhi asking for cooking advice, and receiving recipes in return. "I have answers from her which start with an egg curry, hard-boiled egg curry," she says. "All the dishes that I thought maybe I can do -- cauliflower and potatoes, simple meat dishes." Though Jaffrey's mother sent recipes that were simple enough for her daughter to master, more demanding was the question of what Jaffrey could eat her Indian food with. "I didn't know how to make rice," she says. "That seemed very complicated. I lived in this neighborhood in London, and there was a wonderful Jewish bakery. So I discovered pumpernickel bread at that time, and I ate all my Indian food with pumpernickel bread." Jaffrey grew up in Delhi, India, under British colonialism. She comes from a line of writers, translators and lawyers who had worked in the Mughal court, before British rule. She was raised on an idyllic estate, surrounded by gardens and orchards, on land given to her family by the British. Read an excerpt from Jaffrey's memoir, Climbing the Mango Tree. When Jaffrey -- the fifth child in her family -- decided she wanted to become an actress, she encountered little resistance. "My father had two perfect sons, two perfect, pretty daughters. And then there was me. And my father rather enjoyed, I think, having this very odd child, who was always interested in different things. So they all sort of indulged me," she says. "[My father] just thought I was weird and interesting." In Shakespeare Wallah, she played Manjula, who was beautiful, haughty, glamorous and slender. Watching Jaffrey in this role, it is difficult to imagine this elegant woman wearing an apron and cooking in a kitchen. Jaffrey doesn’t care much for aprons, but she's finally given in to them. "I've resisted aprons actually, until maybe this year," she says. "I finally said to hell with it, I had better put on an apron, because I'm ruining all my clothes!" In 1966, the New York Times ran a story by Craig Claiborne, called "Indian Actress is a Star in the Kitchen, Too." The piece discussed Jaffrey's work as both cook and food writer -- achievements that she'd never expected. "I have had trouble taking it seriously," she says. "But I consider both of them to be my professions now. But one was the one I sought and studied for, and the other dropped from heaven." 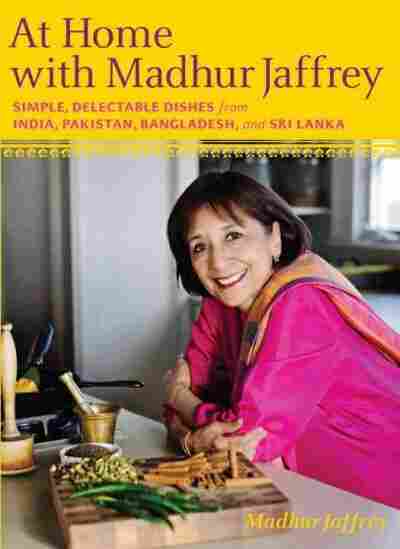 As part of her accidental cooking career, Jaffrey began taping a cooking series for the BBC in the '80s: Madhur Jaffrey's Indian Cookery. She'd been told that the program was to be an educational one, but she had little idea how far the education she was imparting was going to spread. "This was the first time that British people were actually cooking proper Indian food in their homes," she says. "I remember reading articles, like they'd run out of cilantro -- which is called green coriander -- in Manchester, because I had made a dish the day before with chicken cooked with cilantro, and they'd run out of it. It really changed the way the English were eating Indian food." "It's a red pepper soup with ginger and fennel," she says. "This is a good time to have it, and to keep your sinuses clear." This has always been a favorite soup of mine. I made it very recently with the last of the bell peppers on my plants. The leaves had shriveled already, but the peppers were still hanging on. It was such a cold, damp day that I decided to add some warming ginger to the soup for added comfort. Chop the peppers coarsely after discarding all the seeds. Pour the oil into a large, wide pan and set over medium-high heat. When hot, put in the peppers, onions, potatoes, ginger, fennel seeds, turmeric, cumin, and cayenne. Stir and fry until all the vegetables just start to brown. Add 2 cups of the stock and the salt. Stir and bring to a simmer. Cover, turn heat to low, and simmer gently for 25 minutes. Ladle the soup in batches into a blender and blend until smooth. Pour the blended soup into a clean pot. Add the remaining stock, thinning the soup out as much as you like. Add the cream and mix it in. Adjust salt, as needed. Heat through before serving. From At Home with Madhur Jaffrey: Simple, Delectable Dishes from India, Pakistan, Bangladesh, and Sri Lanka by Madhur Jaffrey. Copyright 2010 Madhur Jaffrey. Excerpted by permission of Knopf, a division of Random House, Inc. There were actually two types of family history. There was the documented version that sat properly in my grandfather's office. But there was also the undocumented version, consisting of fables, family customs, and hearsay passed along by my grandmother Bari Bauwa and the other women of the house. This version had begun seeping into us since birth, very subtly, with the honey on our tongues. And, to start with, it was the only one I knew. Every autumn, at the religious festival of Dussehra, Bari Bauwa would demand that we bring all our writing implements to the Prayer Room. The men would be asked to bring their guns as well. She would arrange these in the altarlike temple she had set up -- Parker pens, bottles of blue-black Quink, pencils, hunting rifles -- all mixed in with gods, sacred threads, and marigolds. The women and children would gather inside the Prayer Room, with the men always hovering, unconvinced, by the doors. We would begin praying and sprinkling these rather ordinary implements with yellow turmeric powder, red roli powder, grains of rice, holy water, and flower petals. I thought then that all of India was doing what we were doing: asking blessings for pens and pencils and guns. What I did not realize was that on that day most Hindus were asking God to bless the implements they worked with: farmers wanted blessings for their bulls and plows, and traders for their weights, measures, and coins. But who were we, and why was my bottle of Quink in the Prayer Room? According to the women's oral history -- and this was never taught to us, just deduced slowly over time -- we were a subcaste of Hindus known as Kayasthas: Mathur Kayasthas, to get the sub-subcaste right. Even as a child, I saw it so clearly in my imagination. . . . Roll the film: Ancient India. Day. A vast meeting of notables is being held on a mountainside to finalize the caste system. At the top of the heap, it is announced, are to be the self-satisfied priests, the Brahmins, who will be the only ones allowed the privilege of reading, writing, and making laws. There is much cheering from their quarter. Below them are to be the warriors, Kshatriyas, who will fight and rule kingdoms. This lot seems overjoyed, too. Lower on the totem pole will be the traders and farmers, Vaishyas, whose eyes glint at the thought of making money, and even further down, the menial workers or Shudras, who stand glum and silent. The camera shifts. Next day. Night. A small hall lit with oil lamps. A smaller meeting of agitated intellectuals. They are overwrought because they are viscerally against all these categories. In any case, they do not fit neatly into any of them. Reading, writing, and making laws is what gives them the most satisfaction, but religious orthodoxy scares them, and they want none of it. They have no fear at all of ruling any part of the world, but they will not give up their precious books. They lack both the sort of entrepreneurial spirit that makes successful traders (in fact, hush, they look down on traders), and the physical strength and desperation that sustain farmers. So they vote rather boldly to form a union of their own, a separate subcaste of freethinking writer-warriors to be known as Kayasthas. The End. That is my version of events. There is actually a real legend, if legends can be real, that goes something like this: Just after Brahma, the God of the Universe, had created the caste system with, in descending order, the Brahmins, Kshatriyas, Vaishyas, and Shudras, a worried Yama, God and Chief Justice of the Underworld, approached him, saying, "I need an assistant who has the ability to record the deeds of man, both good and evil, and to administer justice." Brahma went into a trance. When he opened his eyes, he saw before him a glorious figure of a man holding a pen in one hand, an inkpot in another, and a sword tied around his waist. Brahma spoke: "Thou hast been created from my body [kaya], therefore thy progeny shall be known as Kayasthas. Thy work will be to dispense justice and punish those that violate Divine laws." Brahma gave him the special caste of Dwij-Kshatriya, twice-born warrior. Another such "history" lesson came directly from my grandmother. I will never forget the day. It was one of those sunny but crisp, cold winter Sundays that Delhi loves. Winter lasted only two months a year, and our family turned quite British for this season. At least in our clothing. All the tweed coats and jackets (British fabrics, Indian tailors) and cardigans (British wool and patterns, family-women knitters) came out of mothballed trunks. They were spread out on the lawn and sunned repeatedly for days, in a desperate effort to rid them of their naphthalene odor, after which they were hung or folded up and put into cupboards. The women wore hand-knitted cardigans on top of their sarees and then bundled themselves further in Kashmiri shawls. I was ten and looking smart as smart can be in my pale-blue herringbone-patterned woolen overcoat, made to measure at Lokenath's in Connaught Place, New Delhi. (My two older sisters had exactly the same coats.) It was January, and so cold that we had to wear overcoats both inside and outside the house. I smelled of mothballs. About twenty of us had barely collected in the dining-room annex for breakfast when the Lady in White arrived. Of the same age as my grandmother, she was habitually enshrouded in a long white skirt or lahanga, a white bodice, and a white covering over her head. Her skin color matched her clothing. I used to think that my mother was the whitest Indian I knew until I met the Lady in White. My mother was the color of cream. The Lady in White was the color of milk. What mattered most to us, though, was not her milky color but the milky ambrosia that she carried on her head. Yes, balanced there, on a round brass tray, were dozens of mutkainas, terra-cotta cups, filled with daulat ki chaat, which could be translated as "a snack of wealth." Some cynic who assumed that all wealth was ephemeral must have named it. It was, indeed, the most ephemeral of fairy dishes, a frothy evanescence that disappeared as soon it touched the tongue, a winter specialty requiring dew as an ingredient. Whenever I asked the Lady in White how it was made, she would sigh a mysterious sigh and say, "Oh, child, I am one of the few women left in the whole city of Delhi who can make this. I am so old, and it is such hard work. What shall I tell you? I only go to all this trouble because I have served your grandmother from the time she lived in the Old City. First I take rich milk and add dried seafoam to it. Then I pour the mixture into nicely washed terra-cotta cups that I get directly from the potter. I have to climb up the stairs to the roof and leave the cups in the chill night air. Now, the most important element is the dew. If there is no dew, the froth will not form. If there is too much dew, that is also bad. The dew you have to leave to the gods. In the early morning, if the froth is good, I sprinkle the cups with a little sugar, a little khurchan [milk boiled down into thin, sweet, flaky sheets], and fine shavings of pistachios. That, I suppose, is it." Those cups were the first things placed before us at breakfast that day. Our spoons, provided by the Lady in White, were the traditional flat pieces of bamboo. Heavenly froth, tasting a bit of the bamboo, a bit of the terra-cotta, a bit sweet and a bit nutty -- surely this was the food of angels. But it was finished too fast. After every bit had been licked up, we were still hungry. So orders went out to the kitchen: "karara [crisp on the edges] fried eggs," "rumble-tumble [scrambled] eggs with tomato, onions, and green chili," "rumble-tumble with tomato, no onion, green chili, and cilantro," "masala [spiced] omelette with bacon." All the eggs were served with toast. That day, my cousin Rajesh, the youngest son of my middle uncle, downed his breakfast at breakneck speed and dashed outside. I, his devoted folower, still had most of my toast left to finish; I just grabbed it in one hand and ran after him. We were both racing through the northern brick courtyard, headed towards the gardens. Just above the northwestern turret room was a tall electric pole where a kite had made its perch. That moment, the kite saw fit to swoop down and take my toast away from me, leaving, thank God, my eye whole, but a deep, bleeding gash just under it. Then it swooped back up to its perch. I screamed, and my cousin, startled out of his wits and feeling deeply responsible, rushed inside for his .22 Daisy air rifle, which he aimed and fired. His pellets missed. But the noise and commotion brought the whole family out into the courtyard. He was lectured by his mother, I by my mother, and both of us by our grandmother. What my grandmother Bari Bauwa had to say was much more than a simple admonition. My cousin, she said, had almost killed the savior and patron of our kul, our clan. Then she told us this story: In ancient times, when much of North India was divided into small principalities, our ancestors were the rulers of a kingdom called Kukraj, somewhere near Jaipur, in Rajasthan. There was a devastating war with a neighboring raja, and our entire clan was massacred, all save an infant boy whose mother had fled with him to a nearby town called Narnaul. The only reason he lived was that a big kite flew down, landed on the ground, and spread her wings over him, shielding him from view -- and harm. The family priests immediately decided that if the boy lived they would declare the kite kuldevata, tutelary goddess of his family. The boy did survive, and his descendants took to treating all kites with the deepest reverence. It was in the early summer three years later that I discovered the red leather-bound book, the real history of our family, in my grandfather’s office. 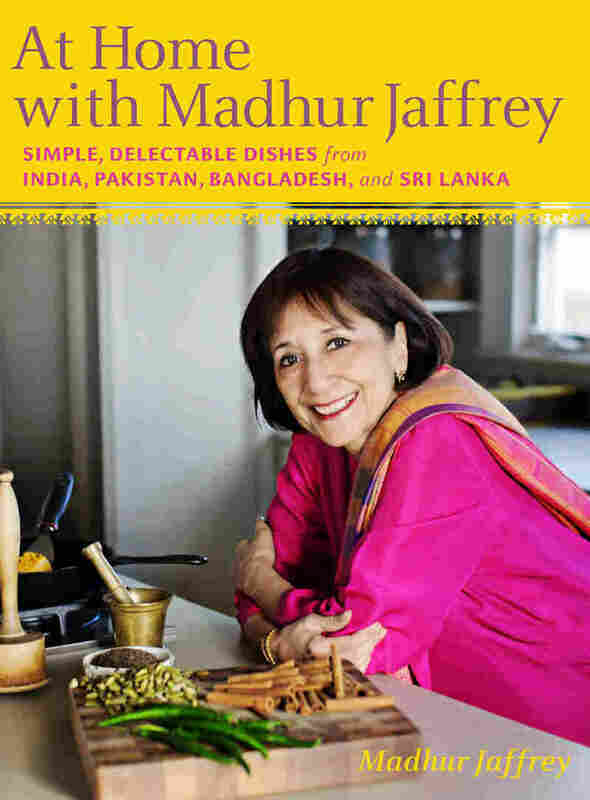 Excerpted from Climbing the Mango Trees by Madhur Jaffrey Copyright 2006 by Madhur Jaffrey. Excerpted by permission of Knopf, a division of Random House, Inc.